Complete the Classic Challenge “The End of Eden” to unlock this badge. Complete the Classic Challenge “Yoink” to unlock this badge. Complete the Classic Challenge “Home is Where the Part Is” to unlock this badge. Complete the Classic Challenge “Closed for Applications” to unlock this badge. Complete the Classic Challenge “Hit the Road” to unlock this badge. Complete the Classic Challenge “Legend Has It” to unlock this badge. 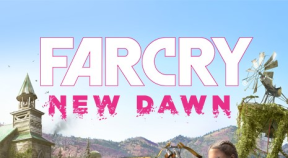 Play Far Cry® New Dawn. Complete all Classic Challenges offering Club Units in Far Cry® New Dawn. Obtain all Club Rewards in Far Cry® New Dawn.